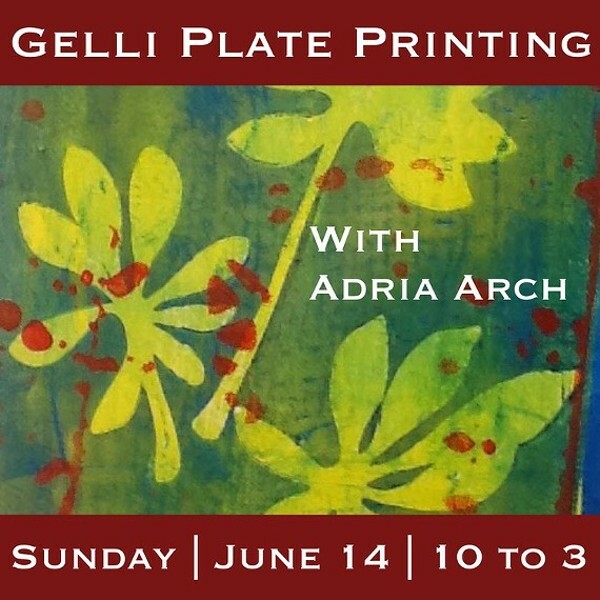 Gelli plate mono printing workshop with Adria Arch. Leave the workshop with lots of printed paper of your own design for hanging, card making, collage- and your own gelli plate. A locally sourced lunch and snacks will be provided.